Brexit offers an economic warning to Canadians trying to benefit by stoking anger and division. Growing fears of the economic repercussions of the U.S. government shutdown have led smug Canadians to scoff that it couldn't happen here. But Britain's descent into even greater economic chaos and uncertainty over whether or how to leave Europe offers a timely reminder that the parliamentary system Canada shares with the U.K. is no protection against the poisonous effects of manufactured political anger. It's a warning to Canadian politicians and single-issue advocates that bitterness and division can provide short-term political gain but lead to long-term economic damage. What Brexit has also demonstrated is that once those divisions have been stoked they can be impossible to cool. In the case of Britain, public disenchantment over economic issues, including unemployment, a crumbling system of public health care and inequality, was fanned and focused by a polarized national debate that told people all their problems could be solved by choosing between two alternatives: quitting Europe or staying inside it. 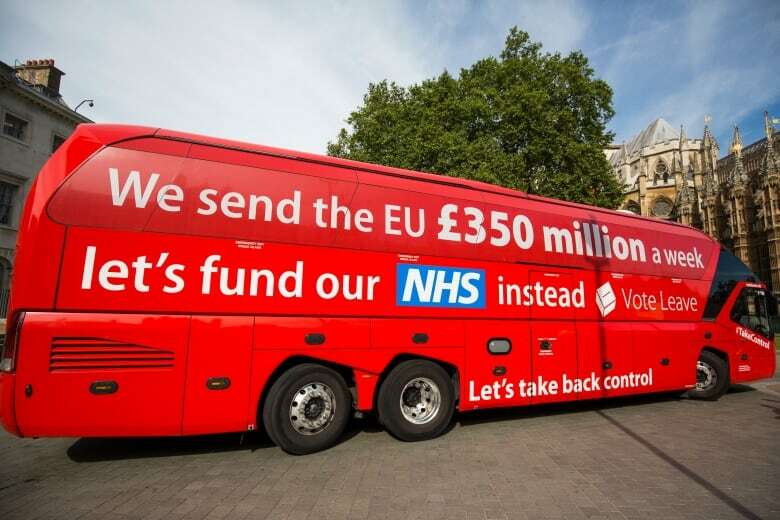 An example of that oversimplification was the sign on the pro-Brexit bus that claimed that cutting payments to Europe would add billions to the National Health Service — something Brexiteers admitted was false almost immediately after their win. 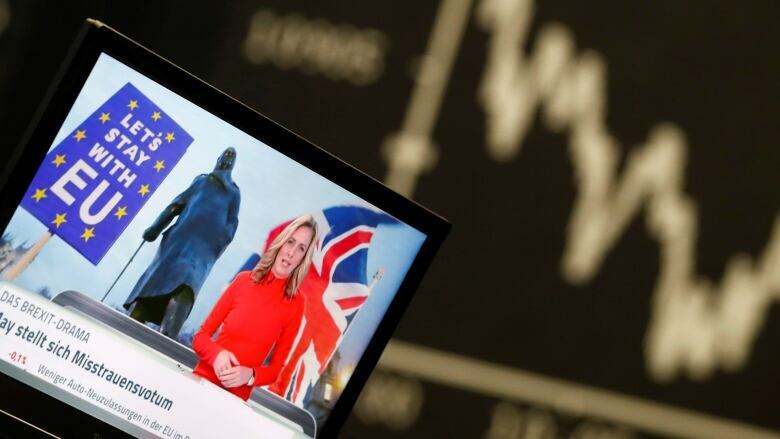 Prime Minister Theresa May survived a vote of no-confidence Wednesday, but the massive defeat of her proposed Brexit deal shows that after almost three years the government is no closer finding a solution that makes economic sense. 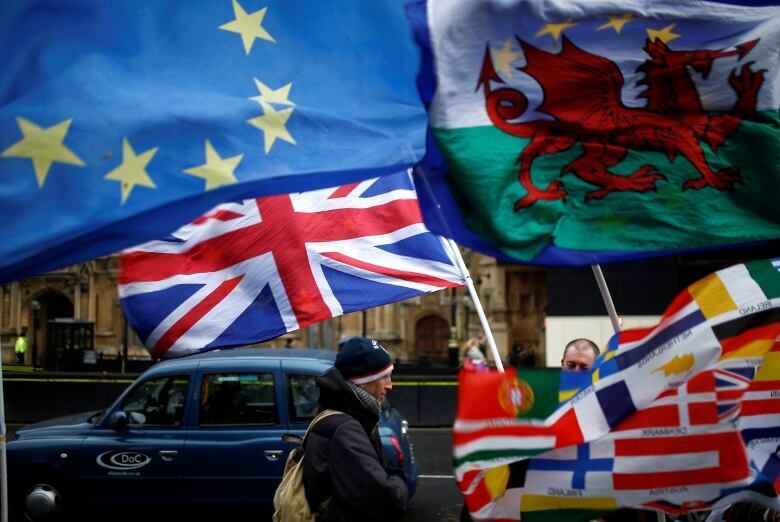 Despite opposition Labour Party Leader Jeremy Corbyn's accusation that May "had only one priority: the Conservative Party," Corbyn's own party is now sharply divided for and against European membership. After working the electorate into a frenzy of division, it may be that the thing people think they voted for — all the economic benefits of Euopean Union membership plus all the economic benefits of independence — is simply impossible. As British political humourist Hugo Rifkind said recently, it's as if a majority of voters had instructed the prime minister to make a submarine out of cheese. Moderate business voices warning against a disorderly Brexit have been swallowed up by the passionate shouting match. And complex or unpleasant details get shoved aside by the kind of all-or-nothing thinking that comes with oversimplified polarized debates. Like those who vote for tax cuts while demanding increased government spending and balanced budgets, a vote in favour of something doesn't mean it's possible. In recent town halls on British television Mr. and Mrs. Angry still spout the pro-Brexit and anti-Brexit slogans invented during the divisive campaign: either immigrants were stealing jobs and living off British taxpayers, or those who wanted to leave the EU were just racists trying to keep migrants out. While polls seem to show popular opinion now is marginally in favour of staying with the EU, the damage has been done. The roughly equal division between pro and con, which so often seems to happen in oversimplfied debates, assures there will be massive public outrage and obstruction no matter what happens. Much has been made of the impact of social media in fomenting the polarization, but media of all kinds have always loved a fight. There is no better news story than an issue clearly split down the middle where we may counter the emotionally charged views of one side with their emotionally charged opposite, all the while claiming fairness and balance. The trouble is that as voters pick sides and gather around the polar ends of any debate — even when the debate is an unhelpful construct — the middle, where compromises and wise economic solutions are usually found, becomes an empty room. For those with certain political or business interests, fanning anger and constructing black-or-white options can work, at least in the short term. We have certainly seen it in the United States. In Canada, there are similar buttons to push, and disenchanted people are ready to back angry alternatives if they can be convinced they just have to choose one side, as between the Oilers and Habs. If you can be convinced it is all pipelines or no pipelines, carbon tax or no carbon tax, immigration or no immigration, free trade or no free trade, capitalism or socialism, you are in danger of being diverted from more complicated, more moderate and better economic solutions. After a recent viewing of the documentary film What is Democracy? where people defined democracy as justice or equality or the absence of fear, the political scientist I attended the film with reminded me that democracy is not an end point but a tool that can be used well or badly, for good or ill.
With the pound down, companies moving their head offices out, GDP falling, British businesses terrified of losing their European markets and consumers stockpiling imported goods, so far democracy seems not to have served the British economy very well. Brexit has shown us that you can lose by winning. Because when you have created an angry and committed group of supporters, you create an equally angry and committed opposition. And there's no one to fight for the moderate solutions that would be better for everyone.